Pink Coast Designs Giveaway! +15% off for giveaway entrants! - Cherry Colors - Cosmetics Heaven! Pink Coast Designs Giveaway! +15% off for giveaway entrants! This kind lady has contacted me to tell me, she's hosting a giveaway! It's not just any kind of giveaway it's jewelery giveaway! 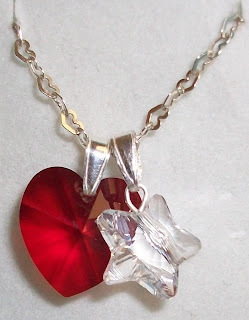 ^^ One lucky lady will win: +Morning Glory necklace (it's super adorable!) +Her favorite kind of chapstick (I wonder what it is?) +Nail polish That's a nice combo, isn't it? 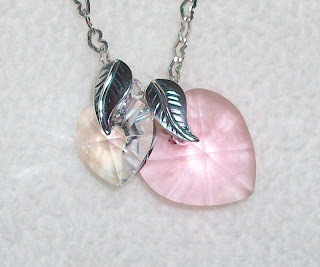 An even nicer thing is that everyone who enters will recive -15% off her hand made jewelery! The giveaway ends August 22nd! Her rules are really simple: 1. Become a follower of her blog 2. Post the giveaway in an entry in your blog (Entry must contain a link to her blog, as well as to www.pinkcoastdesigns.com and a picture of your favorite piece.) 3. Leave a comment on her post with the url of your blog entry My fav item from her are (I couldn't pick just one! ): And of course the one that is one lucky winnier to get ;)!